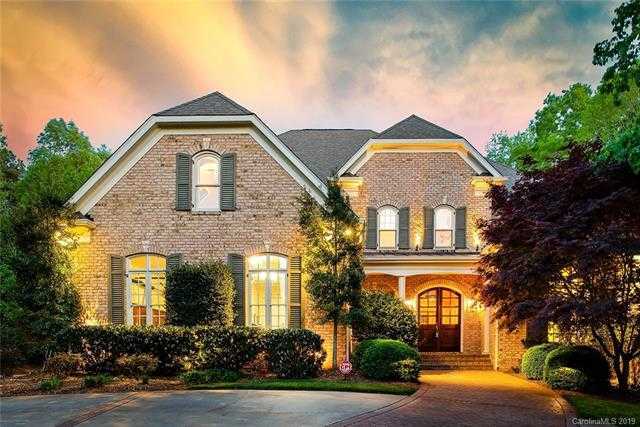 Stunning custom Harrington home on one of the most private lots in Highgate. Enjoy your own backyard oasis with custom salt water pool/hot tub, outdoor fireplace and plenty of sitting areas and play areas that are totally private. Inside features 5+ bedrooms with flexible space to allow for a play room, office and exercise room. Huge master suite with a fireplace and sitting room/office, elegant bath with a new tub and walk-in closet. Large kitchen/breakfast area opens to Family Room with fireplace and lots of natural light. Basement has rec room with fireplace and exercise room/bedroom with a full bath. Large unheated storage room can be accessed from the basement – the perfect space for a workshop. 10 foot ceilings on main floor. Hardwood floors throughout. First floor guest room is perfect for visiting parents. Close proximity to Waverly, Rea Farms and 485. Come visit this family-friendly home that is perfect for entertaining and outdoor enjoyment!